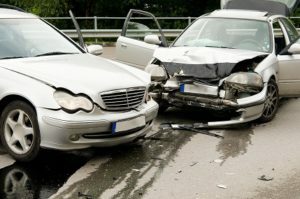 Generally, tell your insurance company of any wreck even if it is not your fault or no one was hurt. The old theory of “they will raise my rates if they know I was in an accident” may have been true for Grandpa, but that is not usually the case anymore. Of course if you get hit every week, your insurance company may rightly question your commitment to safety. Now if it wasn’t your fault, you should be able to deal with the insurance company of the other driver yourself. That is not always as easy as it appears. Remember, insurance companies are in the business of collecting premiums and putting out as little as possible. It is often in their best interest to drag things out. Contacting your insurance company will often get you a check faster. The people in the claims department of your insurance carrier know the rules and how the system works. They will often step in to assist you with the other company. This is especially true if you have Uninsured Motorist Coverage (UMC). In this case, your company wants the other guy to pay; so they don’t have to. UMC is a relatively modern form of insurance that gets you paid if the person who hit you has no or too little insurance. The cost is relatively small and is generally considered one of the best add-ons to protect you from the financial hardship of fixing your car. This might surprise you, but the chances of the person who hit you having no insurance are 1 in 10 depending on where you live. Being hit by a person with too little insurance has been estimated as 1 in 3. Here is an odd fact that shocks a lot of drivers. Once you have filed an uninsured motorist claim, your own insurance company takes a position against you. Remember, you want their money and they want to keep it. Though rare, they may even hire an attorney to represent the person who caused the wreck.